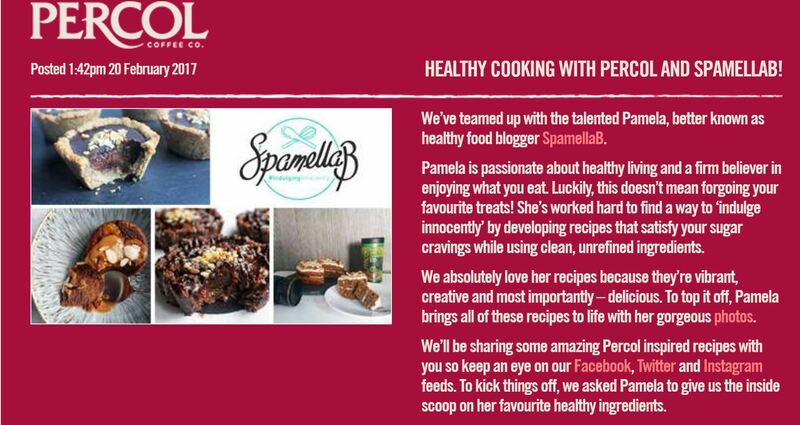 Calling all coffee lovers, you’ll be pleased to know I’m working with Percol Coffee as one of their recipe creators! 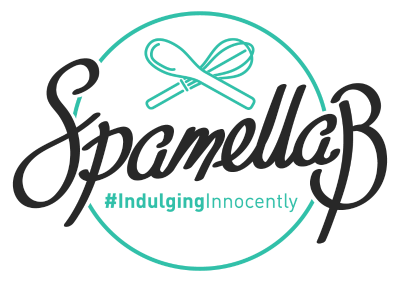 Each month I’ll be sharing an #IndulgingInnocently recipe using a range of their wonderful instant coffee varieites – read more about our collaboration over here where you’ll also find my top healthy essential ingredients list. 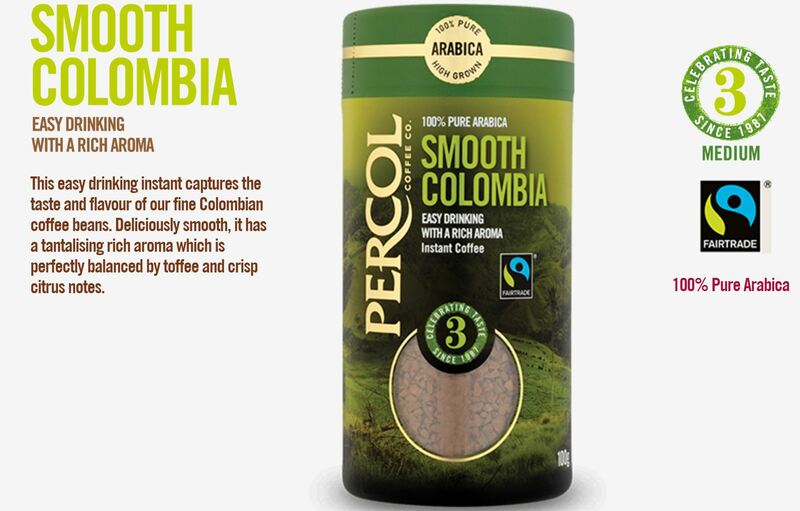 Percol’s aim is to bring the best tasting coffee from around the world to the UK while always making sure they give back to the farmers and environments that grow their delicious beans. Over 25 years, Percol have built great relationships with coffee producers around the world, from Central and South America to Indonesia. I love that the brand offers Fairtrade and Organic options and is dedicated to supporting environmental and charitable causes. 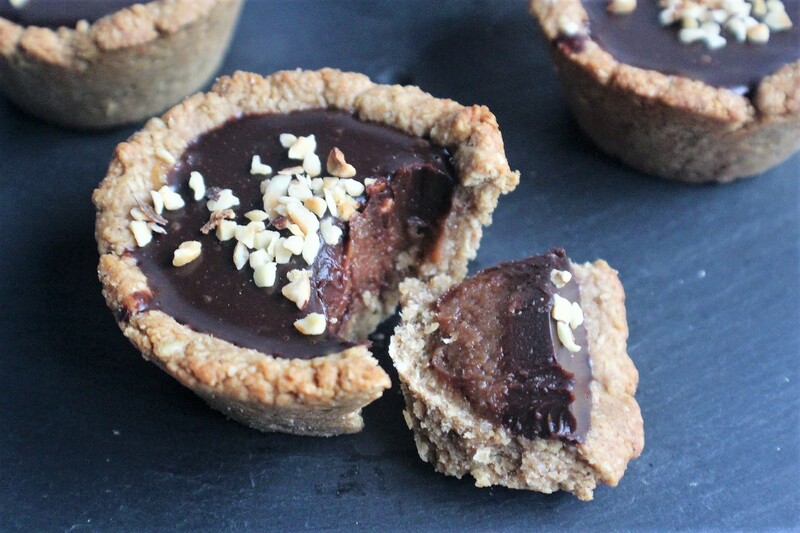 In celebration of Fairtrade Fortnight (27th February – 12th March 2017), I have used the Smooth Colombia Instant Coffee in my first recipe. 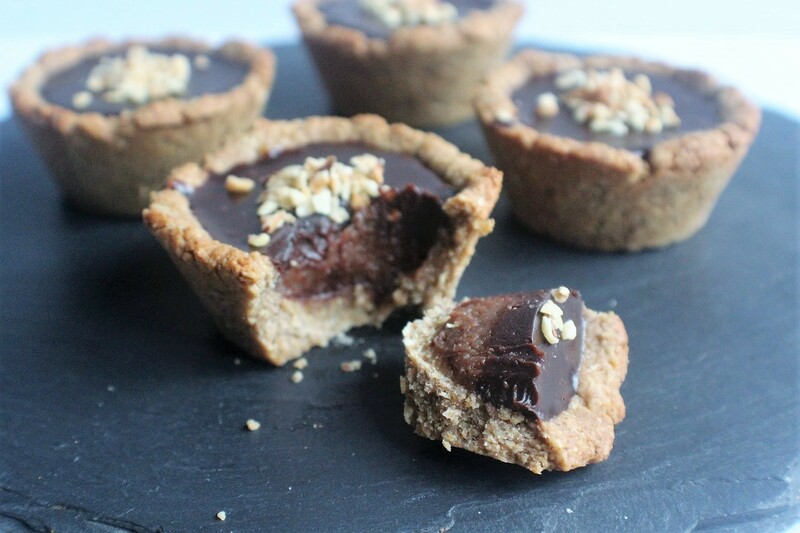 So, first up let me introduce these rich, indulgent tartlets encasing a coffee-infused date caramel and topped off with a creamy chocolate ganache. Vegan, dairy-free, gluten-free and containing no refined sugar, this flavour combination tastes *almost* too good to be true. Preheat the oven to 180 degrees C. Grease 6 muffin tins well with oil. Place all of the pastry ingredients in a food processor and blend until a dough forms. Divide into 6 portions and use your fingers to push the pastry into each muffin tin and mould around the bottom and up the edges. Bake for 15-20 minutes until golden brown, then leave to cool in the tin. Meanwhile make the date caramel: Dissolve the coffee in 1 teaspoon boiling water, then place all of the ingredients in a food processor and blend well to form quite a thick mixture. Scrape this into a container and keep chilled. When the pastry crusts have cooled, carefully run a knife around and remove. Spoon about 1 teaspoon of the date caramel into each and smooth out. Now make the ganache: Gently melt the coconut oil and maple syrup, then remove from the heat. Whisk in the coconut cream so it melts in, then whisk in the cacao powder to form a smooth glossy (quite thick) sauce. 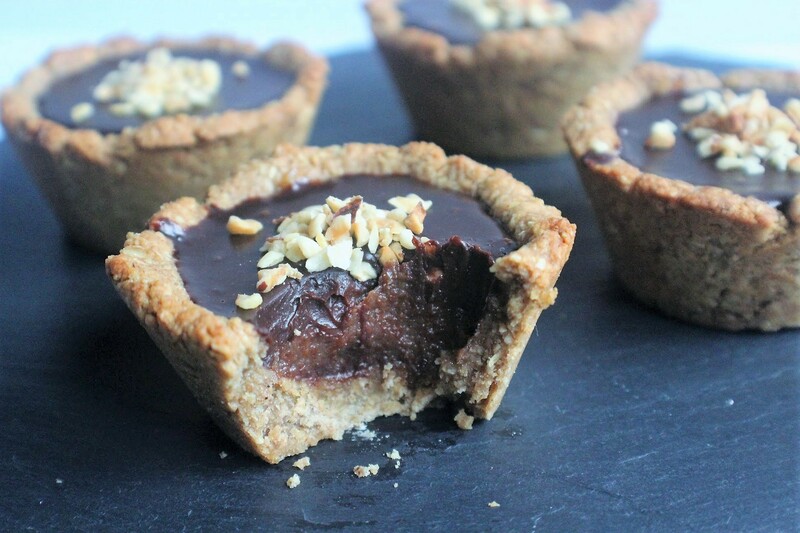 Spoon this over the caramel to cover and reach the top of the pastry cases. Leave to chill and firm up in the fridge for at least 1 hour before serving. 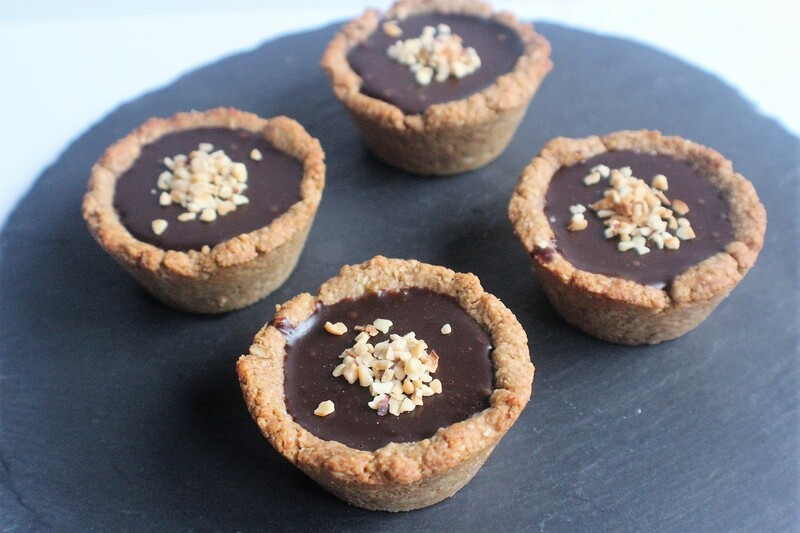 Keep tartlets in the fridge once made up for up to 3 days.